Carrot cake, peanut-butter pie, and doughnuts are just a few ways we’re breaking the cookie-cutter tradition (pun intended). Besides Santa, you know who else likes treats? His reindeer, that’s who. With this in mind, we’re leaving a plate of carrots for St. Nick’s hard-working team and a generous slice of vegan carrot cake for Santa. For a gluten-free recipe, check out the Minimalist Baker’s version. 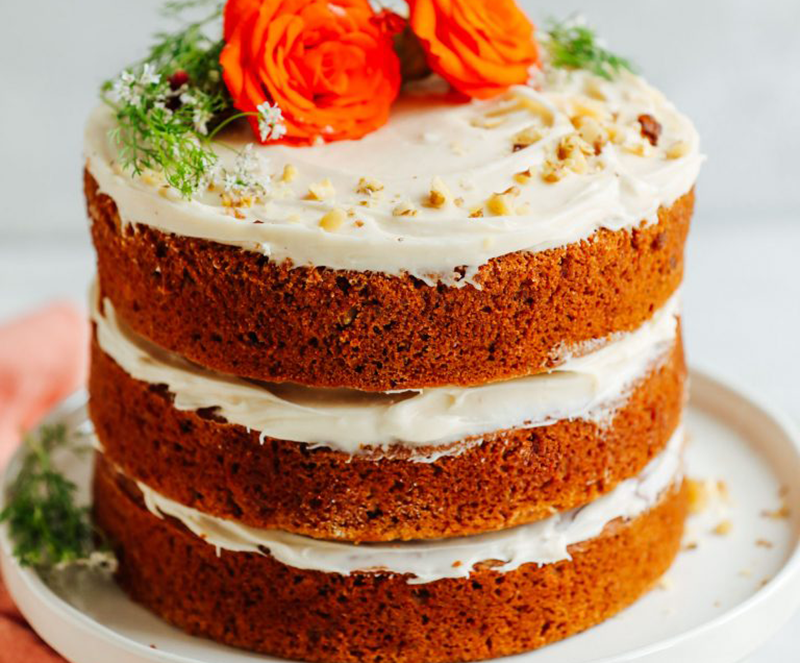 Her cake is divine, and it makes the perfect vessel for her vegan cream cheese frosting. Instead of milk, we’re leaving Santa a Mason jar of this sweet stuff—it’s that good. If Santa’s anything like us, he will be thrilled to find a thick slice of vegan red velvet cake alongside a tall glass of almond milk. 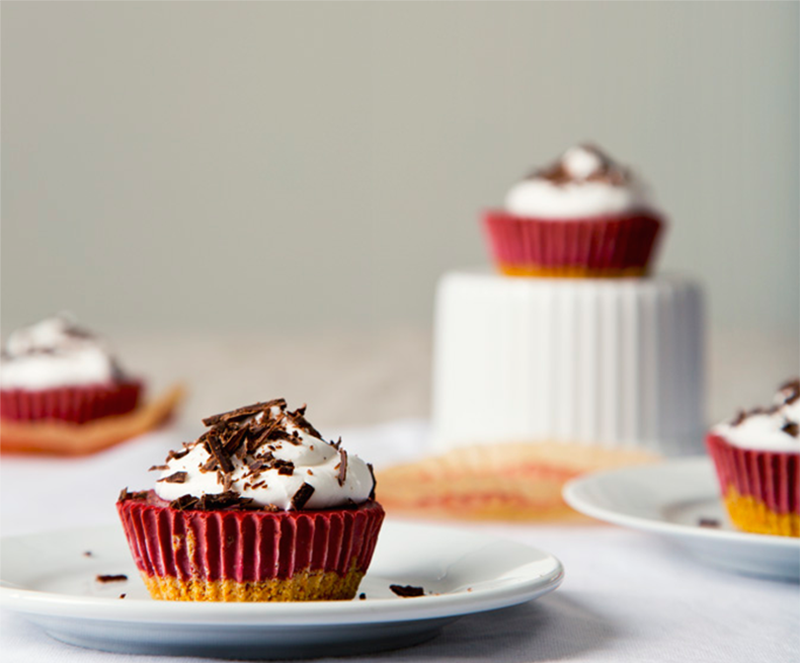 If you live near a Sprinkles, pick up one of their signature red velvet vegan cupcakes. No Sprinkles in town? Many generic boxed cake mixes are accidentally vegan and can be prepared using a vegan egg replacer and plant-based butter (or seltzer water). Even better? Surprise Santa with No-Bake Mini Red Velvet Cheesecakes from vegan recipe blog Pickles & Honey. These mostly raw bites use beets for their glowing red hue, which will perfectly match Santa’s suit. With Thanksgiving more than a month prior to Christmas, Santa is surely on crunch time during this foodie holiday, and we doubt he has time to enjoy a full Thanksgiving feast between supervising the elves, double-checking his list, and performing test-runs on his sleigh. Of course, we believe he deserves to celebrate this holiday as much as anyone, and nothing says “Thanksgiving” like pie. Whether you serve pumpkin, apple, pecan, or sweet potato pie, Santa is sure to appreciate the gesture. 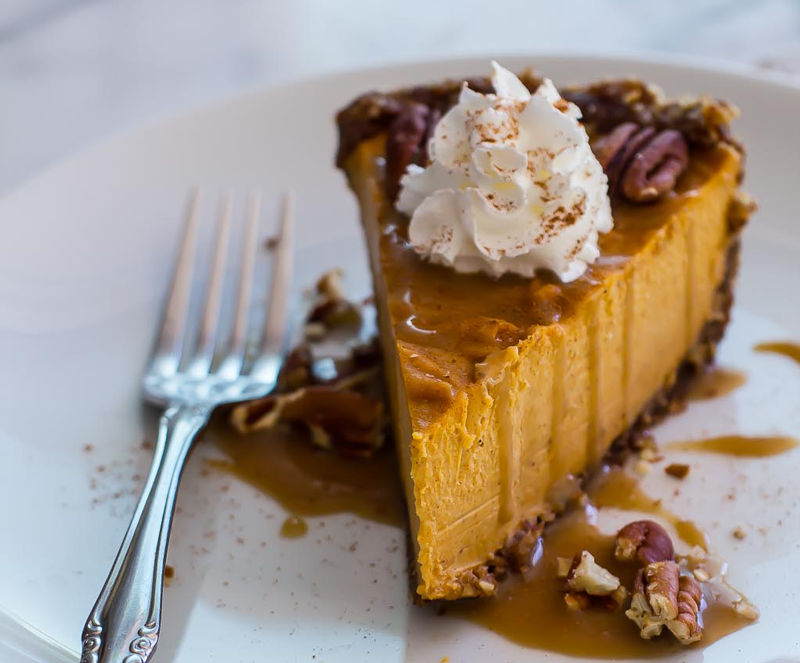 Revive your favorite pie recipe, or try chef Rachel Carr’s Sweet Potato Pecan Pie with Bourbon Maple Caramel. This Thanksgiving pie might be a bit late, but you know what they say: better late than never. A majority of Santa’s journey takes place during the wee hours of the morning, which means he should have breakfast at some point. Doughnuts are a sweet breakfast staple and far more convenient than pancakes or cinnamon rolls. Stop by your favorite vegan doughnut shop, and leave Santa a pretty pink box of his own. 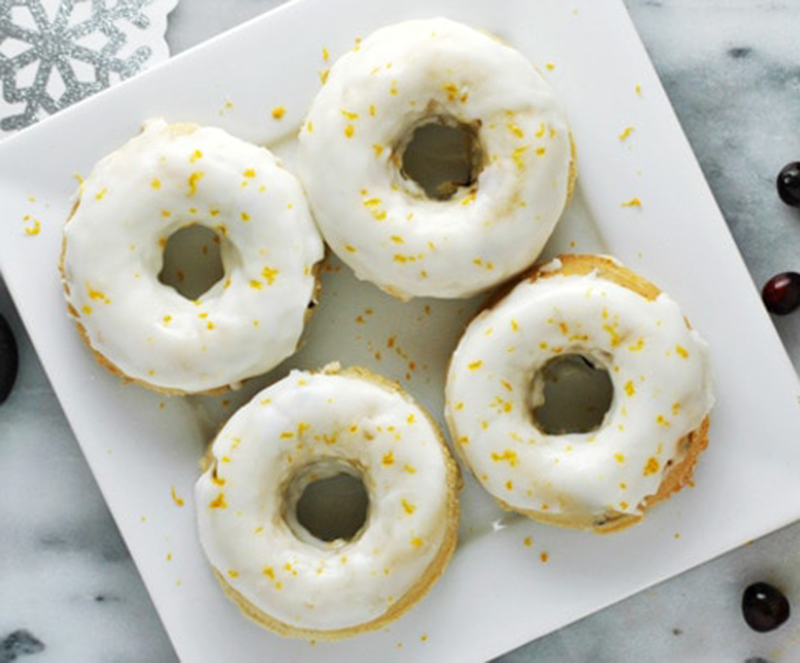 Or, get in the kitchen to make our seasonal Vegan Cranberry Citrus Doughnuts. We’re throwing this in here mainly because we’d like to see a reindeer eat peanut butter. We imagine it would be hilarious, like watching a dog lap up this sticky stuff. Also, peanut-butter pie is delicious, and we’re sure the reindeer would love it. 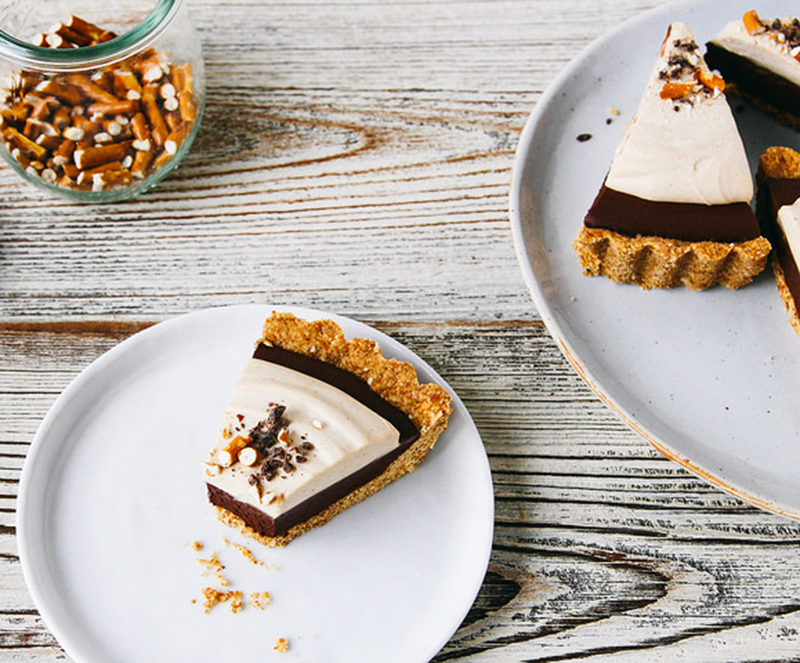 Popular vegan blog Oh, LadyCakes offers multiple spins on this nutty dessert, but we recommend the Hot Fudge Peanut Butter Pie and the Chocolate Mousse Pie with Peanut Butter Whip + Pretzel Crust. Santa and the reindeer will go nuts!